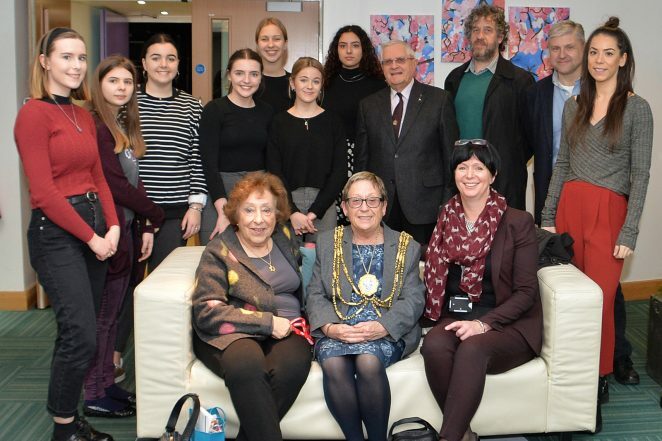 Yesterday saw Brighton and Hove High School for Girls, host their first Holocaust Memorial Event, ‘The Power of Words’, in commemoration of those who died during World War II and the subsequent genocides. The day began with an extended whole school assembly, which involved Dance, Poetry, Choir and spoken word presentations from the students and staff. They also welcomed Kindertransport refugee, Sir Erich Reich, who gave an inspirational thirty-minute talk on his experiences, and the way in which he has overcome adversity to lead a full and successful life. 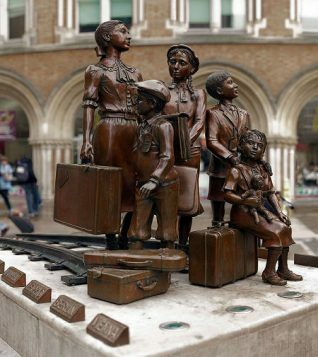 This included establishing a business which has raised £80 million for charity, which led to getting a monument erected in Liverpool Street Station in memory of the 10,000 children who fled the Nazi rule in 1939. Artist Barbara Bell was invited to deliver a workshop to Year 9 students, as a way to encourage them to explore the tragedies of the Holocaust, through a creative medium. The students used charcoal to produce an amazing array of unique work that will be displayed throughout the school. After a short turn around, BHHS then welcomed 80 primary school students who were also inspired by Sir Erich’s story of perseverance and resilience, alongside more Music and Dance presentations. In addition, Winston Pickett delivered a talk using a range of Jewish artefacts, such as Shabbat candles which are lit on Friday evening before sunset to usher in the Jewish Sabbath, and the Shofar (a ram’s horn trumpet formerly used by Jews as an ancient battle-signal, and now used in Jewish religious ceremonies) to reinforce the Power of Words to do good. With support from Sasha Dugdale-Smith, the students then used what they had learnt to write their own poetry. In the afternoon, the Mayor, Councillors and members of the Brighton and Hove Holocaust Memorial Committee were in attendance at the event. The day was an outstanding success, and everyone went away with an opportunity to reflect on Anne Frank’s poignant words; ‘I want to go on living, even after my death’. Most interesting – and a very valuable record.